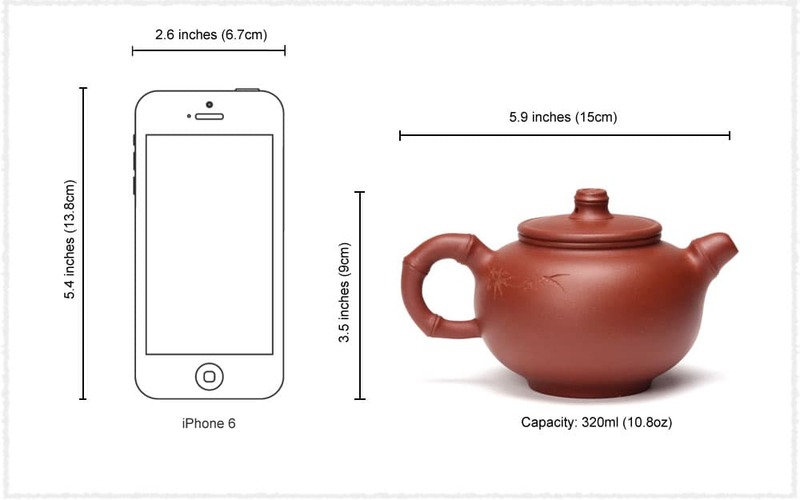 This Yixing Teapot is of big capacity and flowering decorated that makes it vivid and elegant. There is an old saying in China: wealth and fortune comes with blooming peony; safety and peach comes with the bamboo. This is called as lucky bamboo. 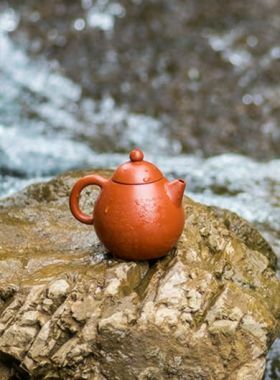 This Peony Bamboo Yixing Teapot has bamboo-styled spout and handle, with strong and smooth water flow. The blooming peony is carved on the body of the teapot, developing a lively circumstance. 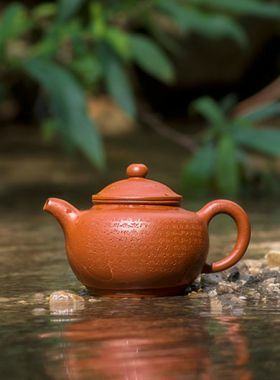 Teapot is thick, round, showing elegant nice shape. Zhou Faqing, who is born in Yixing City (hometown of Zisha Teapot) in 1965, is academician of Chinese Artists Association and academician of Jiangsu Folk Collection Research Association. He has been engaged in Zisha production since 1985. In 1992, Zhou Faqing was judged as Craft Artists and he has specialty in style design. Product made by him is characteristic of primitive simplicity, rich dignified, smooth lines and shape, thus leading him gracious as modern antique artists.